If you spent hundreds of hours playing Dungeons & Dragons in your youth, it turns out that time wasn't wasted. Three successful authors tell Suvudu that D&D gave them the experience points to write decent novels and stories. 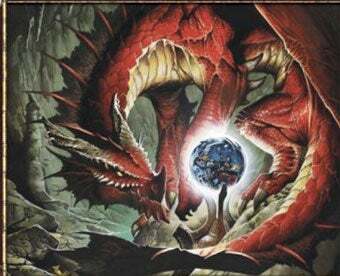 Wizards Of The Coast is putting out a new "red box" edition of the D&D starter set, and Suvudu celebrated by asking a few authors what the game had meant to them, and they all said it improved their storytelling in some way. Green author Jay Lake says "Those three years playing D&D at boarding school did more to ground me in storytelling, plot construction, and sheer, raw imaginative throughput than any other single activity of my life." Paul Jessup adds that being the Dungeon Master "helped me sharpen my improvisational skills, which of course helped my writing skills quite a bit."